Aaron Turnage opened Turnage Motor Company in 2011 and has been selling cars for over 11 years in the Atlanta and Columbia market. He loves to buy and sell cars under $10,000 and knows just about everything there is to know about cars in that price range. His favorite car... Toyota Prius! So when you come to Turnage Motors, you're likely to find a handful of great Prius's available for sale! Aaron also loves spending time with his three children, and relishes the opportunity to enjoy just about any outdoor activity! Aaron has been with Turnage Motor Co since 2015, and before that, worked as a lead tech at the local Toyota dealership since 2001 alongside his father who is a seasoned toyota master tech since 1981! So we KNOW TOYOTAS, here at Turnage Motors! 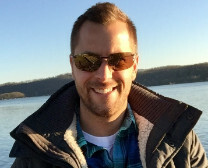 In his spare time, Aaron loves to spend time with his family, and work on a few classic car projects around his house, as well as building electric guitars from scratch! Tyler, Aaron's nephew, has been with Turnage Motor Co. since 2014. His auto detailing skills are what really makes our cars stand out above the rest. He is a master of all aspects of auto detailing and restoration, including paint correction and headlight restoration. 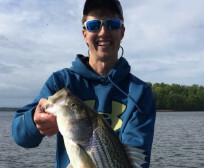 Tyler is a full time college student, and loves to spend every ounce of his free time studying and prepping for school... no, seriously, Tyler loves the outdoors, and, as you can see from this photo, he is one heck-of-a fisherman!